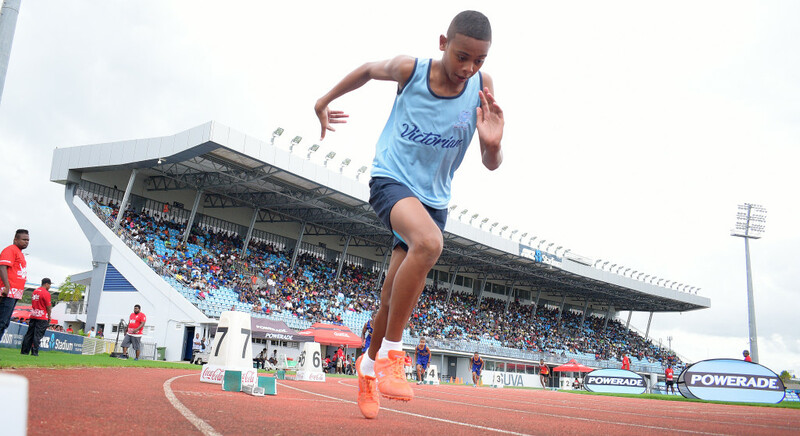 Steven Rabici of QVS during Tailevu Zone sub-junior boys 400 meters final at ANZ Stadium on March 28, 2019. Photo: Ronald Kumar. Kolinio Redrudru of RKS (fourth from left) won the 100 meters senior boys final during Tailevu Zone at ANZ Stadium on March 28, 2019. Photo: Ronald Kumar. Richard Elder (second from left) of RKS won the 400 meters inter-boys final during Tailevu Zone at ANZ Stadium on March 28, 2019. Photo: Ronald Kumar.